This hotel is a haven within the paradise of Florida’s remarkable Key West. Sheraton Suites Key West is designed with a fresh, bright and modern décor. Along with Key West's blue skies and beautiful beaches, guests are invited to enjoy the outdoors with activities such as diving, fishing, watersports, and golfing. 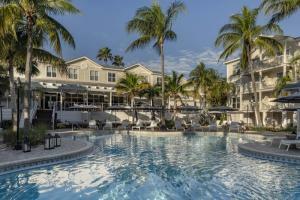 Located in Key West, Florida, just steps away from shopping, restaurants, and much more. Cabana Bar, Coral Crab Cafe, Papa Luigi's Pizza. Earnest Hemingway Home and Museum, Key West Aquarium, Harry S Truman Little White House Museum, Mel Fisher's Maritime Museum, Mallory Square, Fort Zachary Taylor State Park, Smathers Beach.